A substantial planning application has been submitted to the City of London for a new visitor attraction which would be sited next to 30 St Mary Axe, also known as The Gherkin. The proposal was submitted by the Safra Group, the company controlled by Brazilian billionaire banker Joseph Safra, which bought the Gherkin in 2014 for £726 million (AUD$1.2 billion). 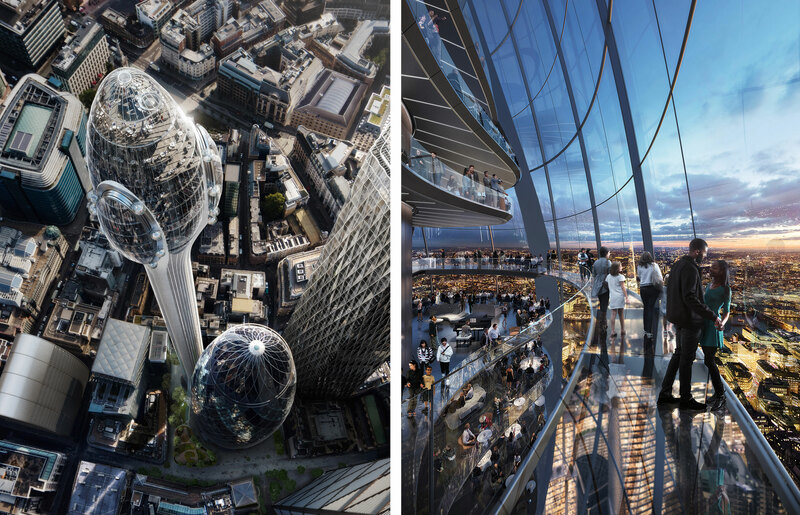 The Tulip, a 305.3-metre tall tower topped with a viewpoint and rotating gondolas, was designed by Foster + Partners to become a new public, cultural, and tourist destination. The design pays homage to the rotating pods of the London Eye attraction and the panoramic restaurant that once sat at the top of the BT Tower. 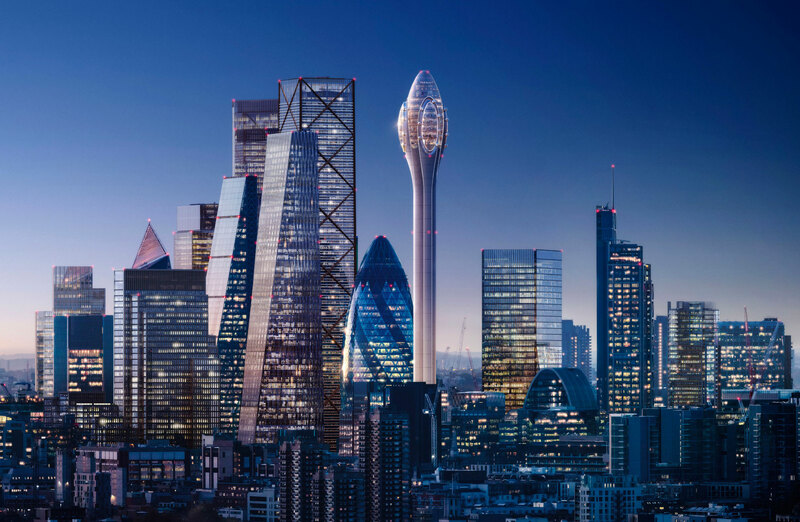 At 305 meters tall, the Tulip will stand just short of the 306-metre Shard across the River Thames while another planned skyscraper, 1 Undershaft, will be 304 meters tall. 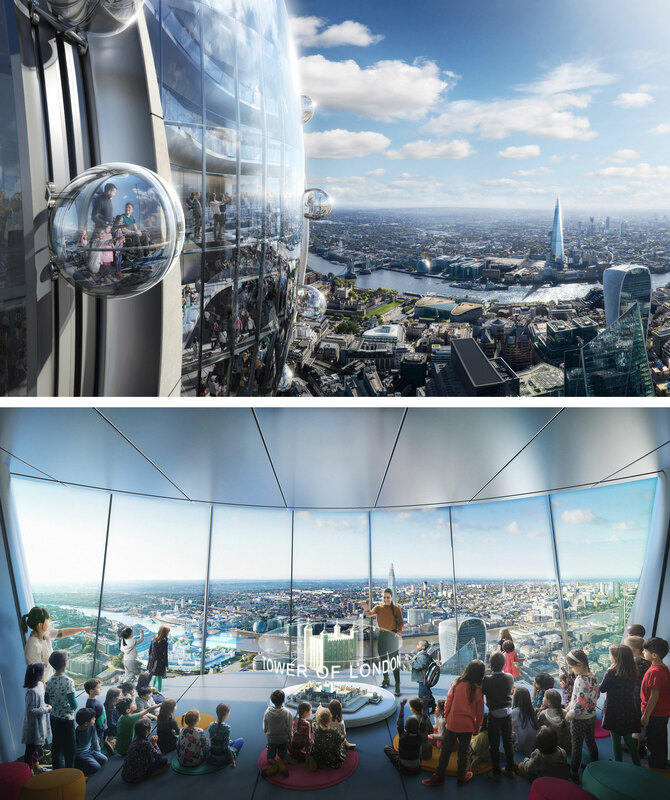 To entice new visitors, the proposal has outlined internal glass slides and spinning gondola pods fixed to the three sides of the facade providing uninterrupted views over the city. 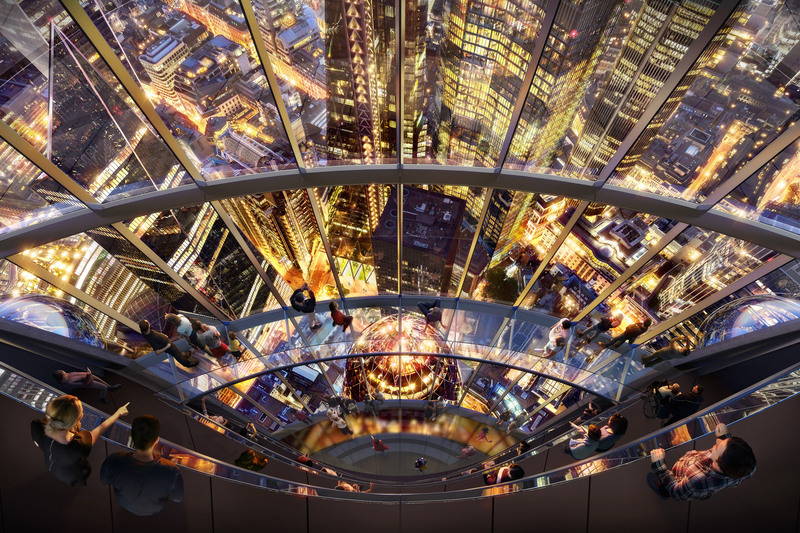 Sky bridges will run between the observation decks and the tower would have a panoramic bar and restaurant. Visitors will also have the ability to interact with cutting-edge technologies as well as briefings from expert guides about the history of London. A key feature will be the education facility based within the top of the tower will offer 20,000 free places per year for London’s state school children. At ground level, The Tulip will extend the site’s public realm with the addition of a pocket park and a two-storey pavilion capped with a publicly accessible roof garden. Public access will also be improved with the removal of over half of the existing perimeter walls around The Gherkin. According to the team behind the project, the new tower will bring “wide cultural and economic benefits with a diverse program of events”. “We are delighted to benefit from the exceptional talent of Foster + Partners in bringing to London this world-class visitor attraction,” Safra Group chief executive Jacob J. Safra said.